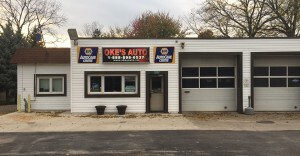 Oke’s Auto opened for business 1992. The Two-Bay Automotive Service Centre is a Licensed Motor Vehicle Inspection Station and offers maintenance and repairs to all makes and models of vehicles. Three licensed technicians are available to serve you. Oke’s Auto is a NAPA Auto Care Centre, AC Delco and Napa-Fix Technical Support are in place. A 24-hour Self Serve Car Wash facility is available for your convenience. 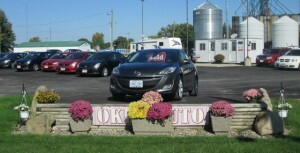 The quality pre-owned vehicle sales and new & pre-owned RV sale centre is located 500 yards North of the Service Centre at 3262 Nauvoo Road (formerly Highway 79). For sales info please contact: Mike (owner), or Nancy (office manager), or Scott (sales Consultant). We would be glad to help you. (See the direct contact details below). 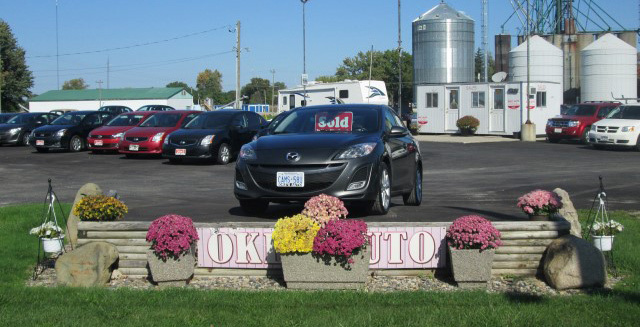 Serving the Alvinston & surrounding area, Oke’s Auto Repair facility is located at 3237 Nauvoo Road with the Pre-owned Vehicle and Trailer Sales Office situated at 3262 Nauvoo Road. Our dedicated sales staff and top-trained technicians are here to make your vehicle shopping or repair service experience easy and financially advantageous. Please utilize our various online resources and allow our network of people put you at ease whether it is with vehicle repairs or ideal car, truck or SUV purchase.